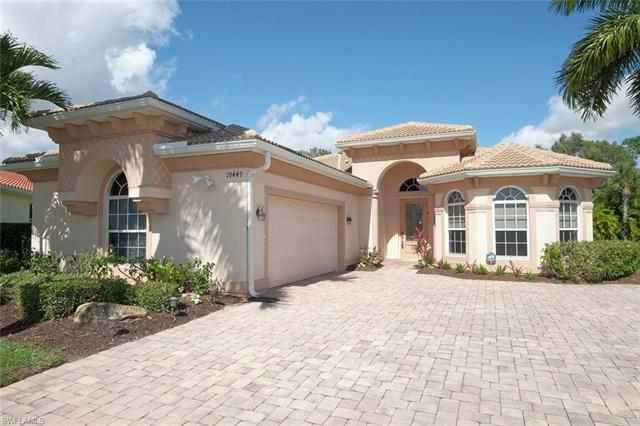 Welcome to this exquisite community located at 19643 Tesoro Way in stunning Estero Florida. 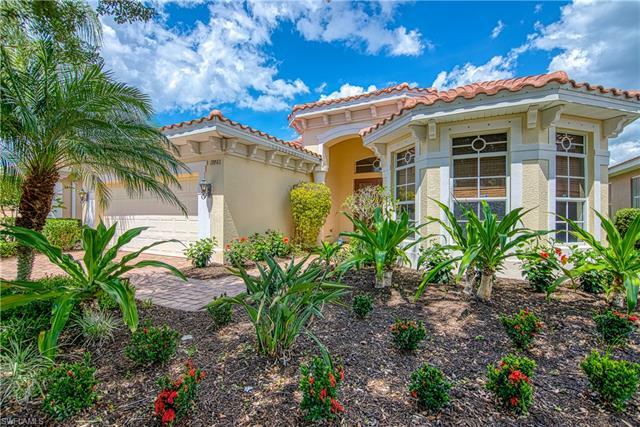 Belle Lago features energy-efficient, resort style amenities and has an irresistible golf partnership with the Estero country club. Welcome to this 24-hour gated community nestled among beautiful nature preserves, walking trails and five close-by private parks. Located conveniently between Naples and Fort Myers just off I 75, Belle Lago provides numerous amenities: golf courses, access to the breathtaking Gulf of Mexico beaches and cultural attractions, a grand clubhouse with a multipurpose room and business hubs, state-of-the-art fitness center, aerobics and yoga studio, library and craft room, card room and media center. Residents and guests can also enjoy four Hydro grid clay tennis courts, a half-court basketball court and a resort style swimming pool with bistro tables and lounge chairs on the sundeck. Belle Lago also features a variety of sports and fitness classes, crafts and card games to fill up your social calendar every night of the week. But, when it’s time to relax, there’s no better place than this striking community. You can stroll through many of the beautiful boardwalks and trails among nature preserves and natural wildlife. Or relax in one of the sundeck lounge chairs surrounding the pool with a cool drink in hand. 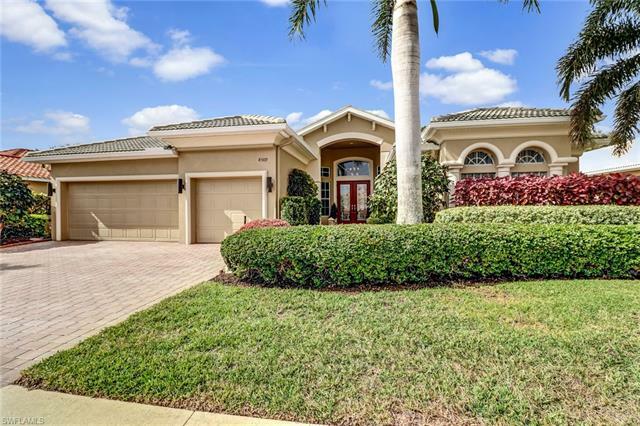 Whatever your pleasure, whatever your fun—you’ll find it at Belle Lago in Estero, Florida. Choose from one of the existing home sites or design your own custom homes with tons of choices and layouts to choose from. Beautiful homes start at around 2000 ft.² with affordable prices at around $350,000. 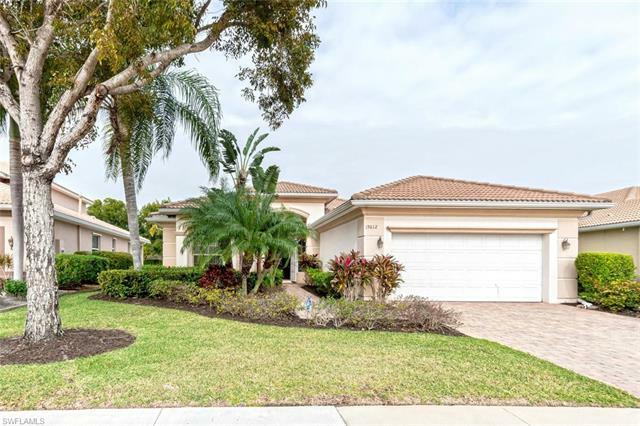 These two, three, and four bedroom single-story homes feature exquisite views, one and two car garages, ample storage space and luxury bath and kitchens. The Marena is the only two-story home design with over 2600 ft.² and optional first floor master bedroom. 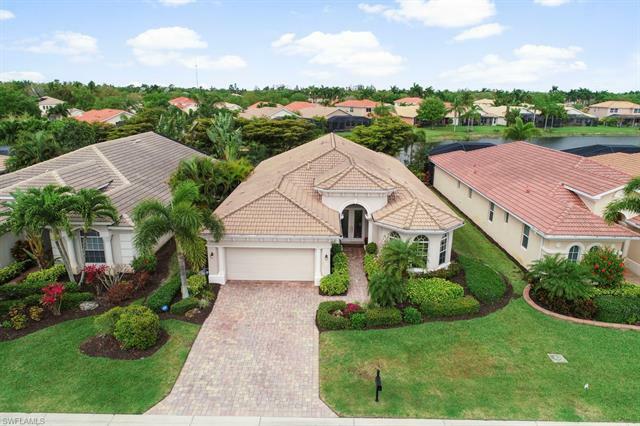 Call us today to learn more about these amazing properties or start your online search here for free don’t forget to check out all of the real estate in the Belle Lago community.